September 5th in Viral, Wordpress Plugins by Wordpress Jedi . WooCommerce comes with all the basic functions you need to start selling your own digital and physical products. 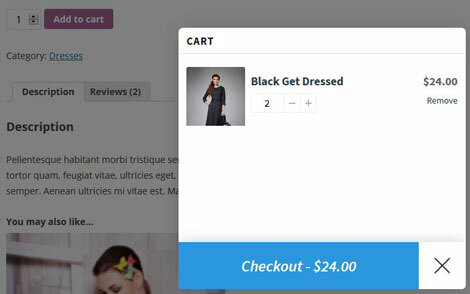 With the WooCommerce Floating Cart extension, you can make your website look more interactive. It adds a sliding cart that activates when your visitors decide to buy an item. The plugin shows a floating cart with items and cart total to make life easier for your customers. You can change cart position, width, height, icons, and other settings. Webmasters have the option to exclude pages and devices on which the cart shoould not be displayed. The WooCommerce Floating Cart works with WordPress Customizer to make your life easier.